Please white list (add this email address to your address book) admin@selfadjustingtechnique.com to insure you get the book. Otherwise it could end up in your spam folder, so be sure to look there too. While you’re waiting for your book you can check out this blog were you can read a number of articles on holistic healing, including healing for the adrenal glands. 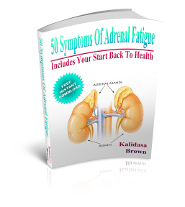 You might also like to read more on how to fully heal your adrenal glands in Adrenal Fatigue, Get Your Life Back. One of the all too common symptoms of adrenal fatigue is lower back pain. You can learn about all different types of back pain in the free book Back Pain Secrets. *If you came from Facebook their system can sometimes take a little time to get the link to your email. It will usually get there within a few minutes, but I’ve seen it take much longer. Feel free to email me if you get tired of waiting and I’ll send you the free book by hand.